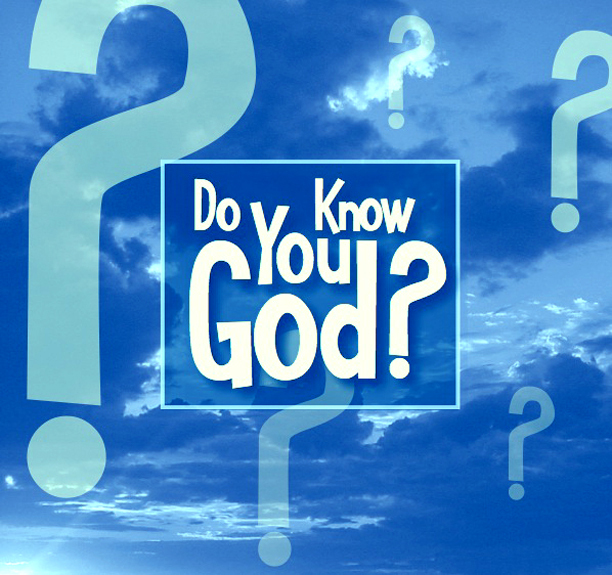 One of the most important thing we can do in this lifetime is to know and understand our Creator, sadly most of us find difficult to take time to know and understand God. Someone asked a man of God, who is God? He replied, God is all what man is not! Some people think you can never know God, therefore try to find God in whatever you do, whatever you see, whatever you feel, whatever you know and whatever you experience. I call them lazy people!! The reason I call them lazy is simply because, they don’t want to know God at first place because they don’t have time for it so they will follow everything. what’s the point of God making you and not revealing Himself to you. He is more than willing to reveal Himself to you. For example: A man will try his best to make her wife understand that he loves her immensely, and will also try to reveal himself, like no other woman of the planet would ever know him better than his wife. Though this man has parents, siblings, friends, relatives, colleagues, neighbors and all the known people, but the way He reveals himself to His wife probably he will not reveal to any other person. God loves all the creation He has created, every other creation know its creator in its own way but God loves us (mankind) so much that He want to reveal Himself to us like no other creature that has been created would know Him. Think about this, how would you feel, if the person whom you love deeply doesn’t understand you even after you trying your best to reveal yourself to that person? When I look around, I find so many people who want to show their love to God, who want to worship God and who want to give the best they have to God, but sadly they don’t know who God is, they don’t know how to worship Him, they don’t know what to give and where to give! They are like a piece of paper tossed and going to and fro aimlessly as the wind blows. And the saddest thing is they think that’s God, that’s worship and that’s love to God the creator. I want to remind you of a person in the Bible, His name is Paul. Paul was very religious and zealous for his belief and he never broke any law. When Paul understood that Jesus is the true God and the only savior of the world, he says this, I once thought these things are valuable, but now I consider them as worthless because of what Christ has done, Yes, everything is worthless compared with the infinite value of KNOWING CHRIST JESUS my Lord, for His sake I have discarded everything else, counting it as garbage, so that I could gain Christ. Phil 3:7-8. This is what the Lord says, let not the wise man boast of his wisdom, or the strong man of his strength and the rich man of his riches; but those who boast should boast in this alone that he UNDERSTANDS and KNOWS me that I am the Lord who demonstrates unfailing love and bring justice and righteousness to the earth and I delight in these things, I, the Lord, have spoken. Jer 9:23-24. God our creator takes delight in we understand and knowing Him. God has revealed Himself in His word, the Bible and in Jesus Christ. The fullness of God has been revealed in Jesus Christ for He Himself is God. As you are reading, I pray that God will give you grace to know Him more than ever before and after knowing that you will walking in His will and you will be the witness of this true God as long as you live. Please take time to share it with your loved ones and leave a comment below.